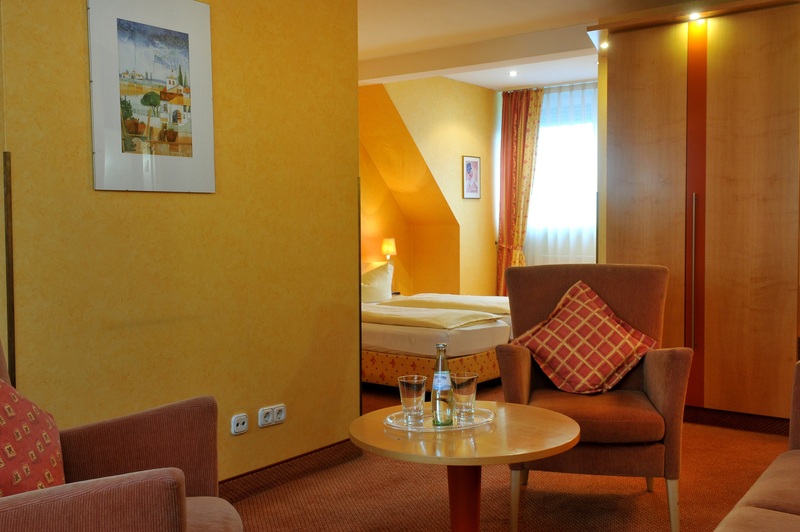 If it is business, holiday or a fair – in Hotel Stadt Muenchen you will find the fitting room for all of these occasions. Benefit from our advantage of booking directly with us and enjoy the cosiness and service in our house any time. Business Rooms combine pleasant sleeping comfort with highest demands. The equipment features include modern technology, an extended workplace and a spacious bathroom. Our 18 square meters triple rooms with 2 single or a double bed and an extendable couch dispose enough space for three persons. 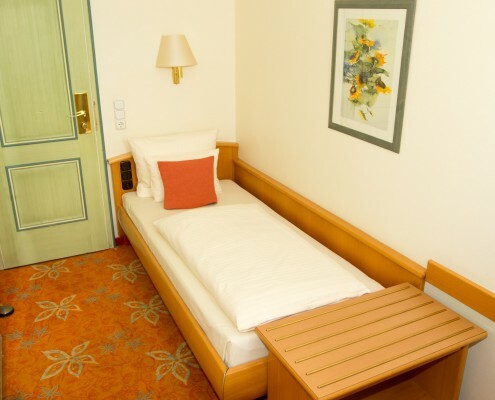 Our double rooms with a size of 18 square meters and comfortable bathroom (shower/ bath tub) will not leave anything to complain for your short stay in Düsseldorf. In our 35 square meters sized superior double rooms with spacious bathrooms (shower and bath tub) a short visit most likely becomes a longer stay. Our junior suites are equipped with a double bed, an extendable couch and enough space for an extra bed. They are perfect for families with many persons. Our comfort double and twin bed rooms provide you with a double bed or two separate beds and with 25 square meters enough space to feel comfy with two persons. 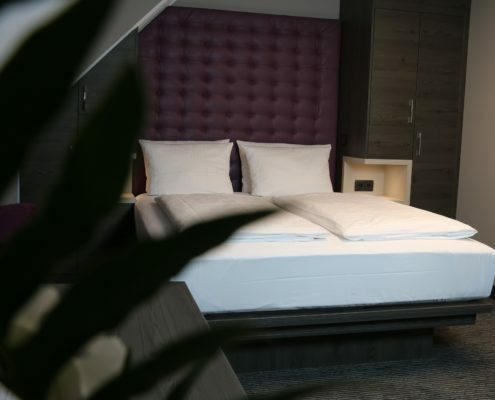 Our 15 square meter standard single rooms provide a workplace and are partly with a balcony. It offers you enough space for a short trip, either business or leisure purpose. In our 12 square meter economy single rooms with a single bed (90 cm wide) you can enjoy the full service of our hotel for a small price. 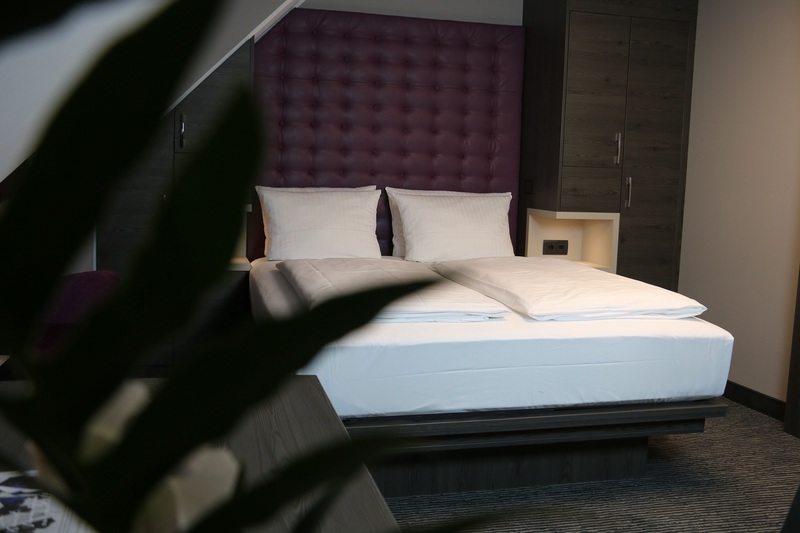 Our comfort single rooms provide a single bed (120 cm wide) and a spacious workplace. 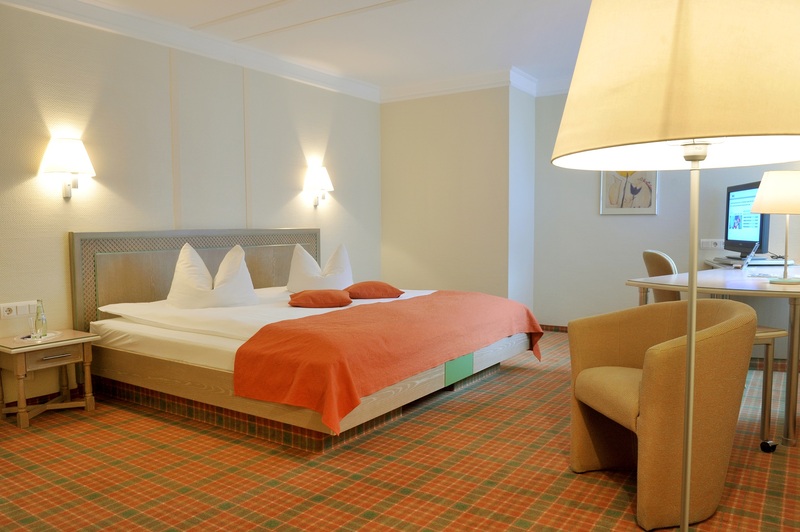 With 17 square meters we offer an optimal and comfy place for business travellers. with steambath, sauna, tepidarium, solarium and resting place. 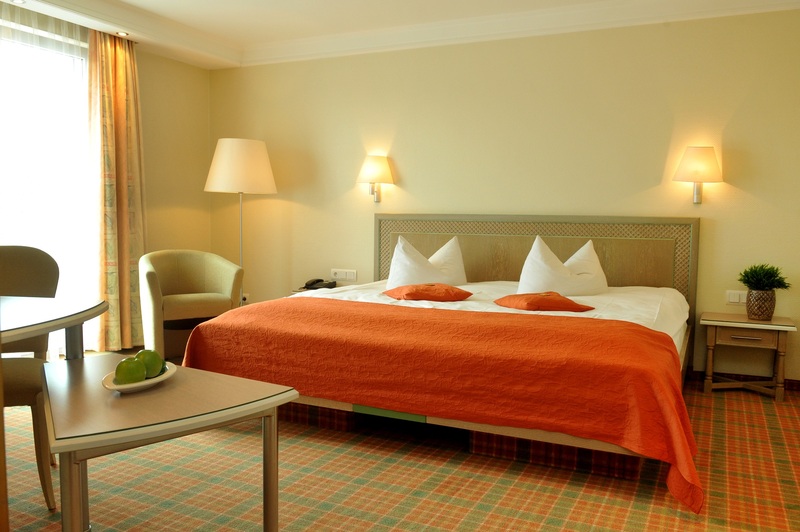 Our 30 square meter Junior Suite provide a combined sleep – and residential area. The studio couch and enough space for an extra bed would be the ideal way for a stay with your family. Our 17 square meter Comfort Single room with a spacious work place provide an ideal and pleasant stay for our business traveller guests.